The national debt should be a huge concern for every single American, as the government is essentially stealing from people not yet born to pay for things now. As debt increases, so does volatility and interest rates; and at some point, the government will have to admit they cannot pay that money back. “Reaching this unfortunate milestone so rapidly is the latest sign that our fiscal situation is not only unsustainable but accelerating,” said Michael A. Peterson, chief executive officer of the Peter G. Peterson Foundation, a nonpartisan organization working to address the country’s long-term fiscal challenges. According to Yahoo, the problem is that our taxes are too low, not the government’s frivolous spending. 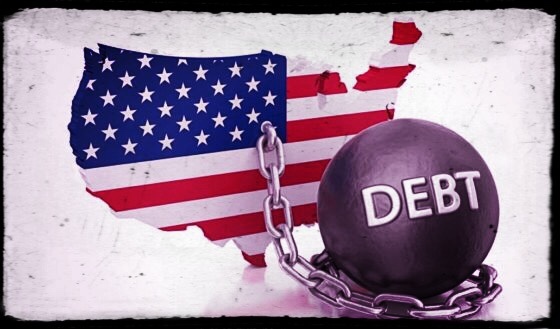 According to Yahoo, a big national debt can also make it harder for the government to increase spending to combat the next recession or devote more money to retraining workers and helping the poor, among other programs. It seems that the media is more concerned about making sure money is funneled through incompetent bureaucrats than anything else. If government programs designed to help the poor with stolen funds (taxes) were effective, there wouldn’t be a skyrocketing homeless epidemic infecting socialist cities in California. Peterson attributed the growing national debt to “a structural mismatch between spending and revenues.” And while that’s the truth, the media continues to hide the fact that firstly, taxation is theft simply because it’s compulsory, and not voluntary. Peterson then says that the biggest drivers of the deficit are the aging population, high healthcare costs, and growing interest payments, combined with a tax code that fails to generate sufficient revenue, he said. However, what the mainstream media fails to tell anyone is that the federal government generated plenty of revenue (stolen funds). The ruling class collected a record amount of taxes in 2018. They stole $1,683,537,000,000 in individual income taxes in fiscal 2018 (October 2017 through September 2018), according to the Monthly Treasury Statement released today. That doesn’t include taxation and theft of any other kind. In fiscal 2018, total tax collections equaled $3,328,745,000,000, according to the Treasury statement. So what we have here, folks is a spending problem. The ruling class steals your money, spends it on lavish salaries and homes for themselves, then goes into debt to not fix the problems they promised to when you voted. And yet we have a nation of statists that bow to this immoral culture as if it’s the only religion. Perhaps if the mainstream media would dare to actually publish how much money is stolen from Americans to pay for the lavish lifestyles of the wealthy rulers who dictate their lives, we would have a lot more people demanding their freedom from the totalitarians they voted for.